Fall is for feeding! Birds need plenty of fat to begin winter right! These medium-sized owls have long, rounded wings and short tails, which combine with a buoyant, loping flight to give them a distinctive flight style. The legs are long and the head is smoothly rounded, without ear tufts. Barn Owls are pale overall with dark eyes. They have a mix of buff and gray on the head, back, and upper wings, and are white on the face, body, and underwings. When seen at night they can appear all white. Barn Owls nest and roost in cavities, abandoned barns and other buildings, and dense trees. At night, Barn Owls hunt by flying low, back and forth over open habitats, searching for small rodents primarily by sound. Consider putting up a nest box to attract a breeding pair. Make sure you put it up well before breeding season. Attach a guard to keep predators from raiding eggs and young. Barn Owls swallow their prey whole-skin, bones, and all. About twice a day, they cough up pellets instead of passing all that material through their digestive tracts. The pellets make a great record of what the owls have eaten, and scientists study them to learn more about the owls and the ecosystems they live in. 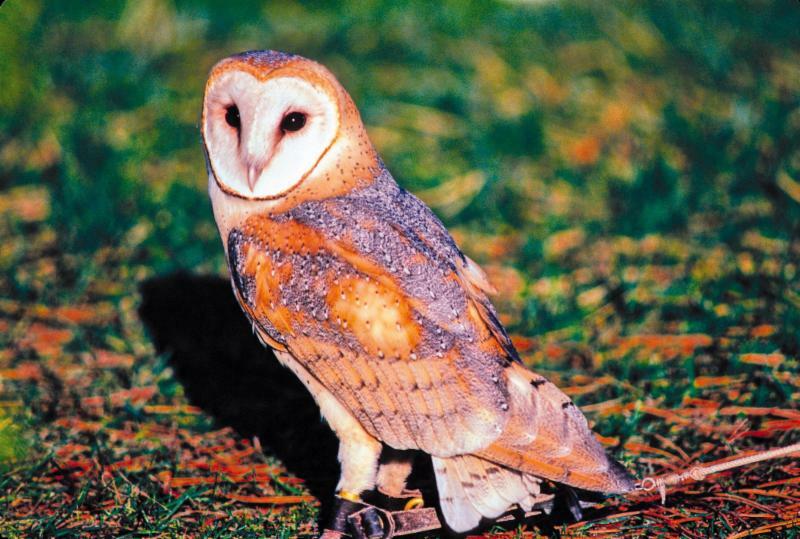 For more information on Barn Owls, visit one of the three Moana Nursery store locations: 1100 W. Moana Ln. & 11301 S. Virginia St., Reno and 3397 Pyramid Way., Sparks. Some call it "ghost bird." Others have named it "demon bird." In fact, colloquial names abound for the widespread Barn Owl. Found on every continent except Antarctica, and with about 30 subspecies filling its range, the majestic Barn Owl has not always been looked upon favorably. Despite their bad reputation in folklore, Barn Owls do a lot of good. Many farmers forge beneficial relationships with Barn Owls, as a single owl family can consume approximately 3,000 rodents a year. The majority of their diet is gophers, and they also eat mice, voles, moles, and rats. In exchange for a nest box, they will keep fields clear of rodents, reduce crop damage and loss, and eliminate the need to put out rodenticide. Seeing a Barn Owl is simply a good sign that the ecosystem is healthy and resilient. So remember, Barn Owls are only a scary bird if you're a mouse! 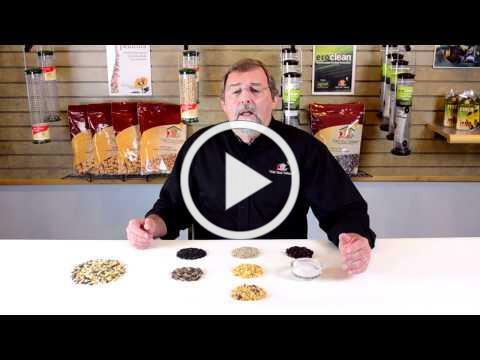 A great tidy and complete seed blend! 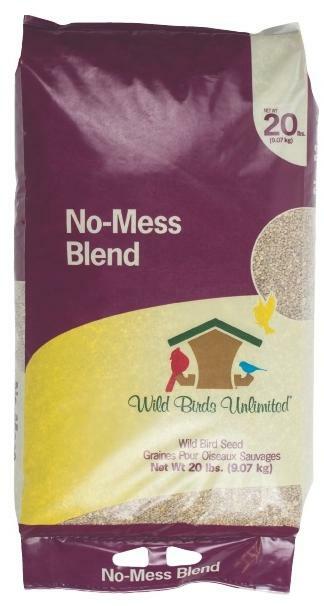 Woodpeckers, chickadees, nuthatches and jays LOVE this blend! 15% off all Seed Cylinders Any size - includes HOT varieties. Don't forget to check out our current Moana Nursery Garden Specials! 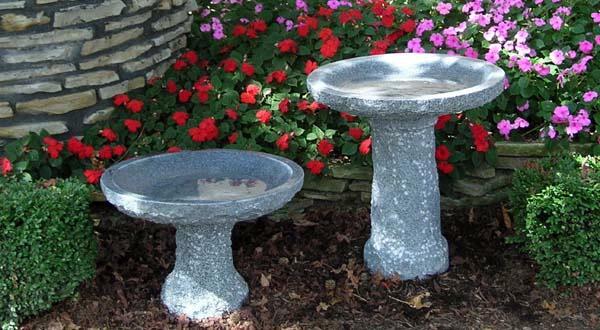 All Birdbaths* 40% OFF during October! A WBU EcoClean seed or thistle feeder continuously protects itself against the surface growth of damaging bacteria, mold and other microbes 24 hours a day, 7 days a week. Antimicrobial product protection on: tube, seed diverter, metal port armor, lid, base (all powder-coated components), perch covers. Frosted tube - antimicrobial product protection built-into the tube. 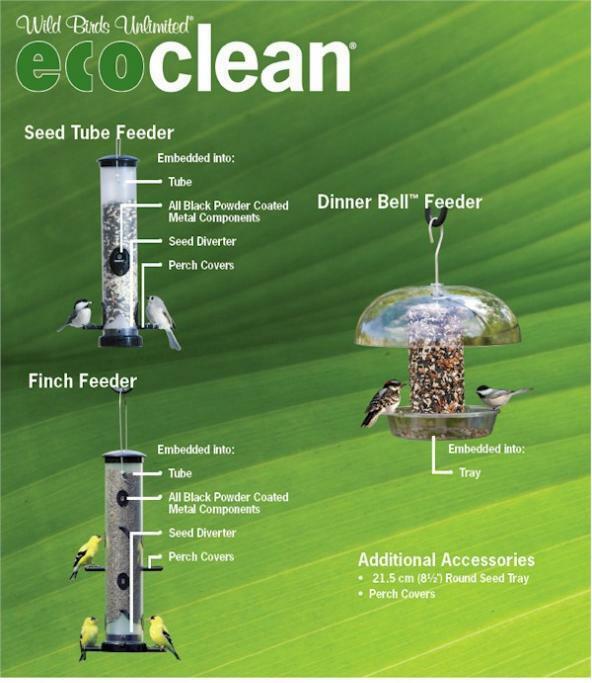 No need to clean EcoClean feeders with chlorine bleach solution. TreeNutty™ Plus Blend is loaded with chopped tree nuts, shelled peanuts and sunflower chips along with oil sunflower, striped sunflower and raisins. It also contains added calcium, an important ingredient that helps promote strong bones and eggs. * Steller's Jays, the beautiful black crested jay of the mountain forests, may relocate to lower altitudes. * The local Blue Jays and Western Scrub-Jays will squawk their resentment of the Steller's, as they all search for high-energy nuts and oil seeds. * Pinon Jays, normally found exclusively in the southern pinon/juniper lands, may move further north in search of winter food. * Pine Siskins may move in large numbers to lower regions, and will socially join flocks of American Goldfinches to visit finch feeders. 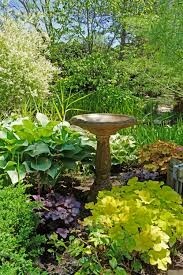 * Keep your hummingbird feeders filled and clean until you have not seen a hummingbird for two weeks. * Peak of southward migration. Birds heading south include: White-crowned Sparrows, warblers, Black-headed Grosbeaks, Green-tailed Towhees, Song Sparrows and Lincoln and Chipping Sparrows. * Geese and ducks begin arriving throughout the region. * Yellow-rumped Warblers are returning. * Leonid meteor shower is mid-month.